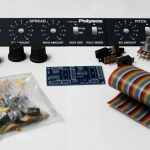 Kit includes: SH-1oh1, 40 Pin socket, transparent stickers, midi sockets and additional wires, screws and nuts for the midi sockets and drilling aid. Fantastic Mod, i love my sh 1oh1. Nice Filter lfo for Filter fm and midi sync for the arp and sequencer are my favourite Features. I like the mod, only one thing that disappoints me, before i bought the mod i asked will there ever be a updated or better version of the mod or is this it. Well they assured me their will be no update or a v2 version! this was it, so now i have the original mod installed while there is now the the tune tubutec 101 mod. I’m a little disappointed, if i buy this mod and ditch the old one it kinda becomes a really expensive 101. 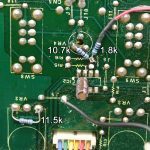 Anyway still, i like the sh101 mod! still there are some bugs (not really a bug but more a technical issue because of cv) with it that are related to midi in and out loops, it doesn’t react like a regular synth with midi ins and outs. If you use midi in and out like a regular synth, the keys of the 101 will mess with the octave on a midi loop because the 101 receives notes by cv internal and by midi external so double the cv is double the note. Anyway i like it, it made me use the 101 in my midi setup to actually make tracks with it, before this mod i never really used it besides syncing the arp or seq to my 909 and jamming with it. thanks for your comment about the SH-1oh1. I can understand your feelings about the µTune edition. Unfortunately it was not possible to include these features into the SH-1oh1 software, additional hardware is needed. 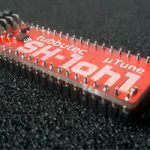 Send us your SH-1oh1 and the price difference and we will send you an µTune edition. 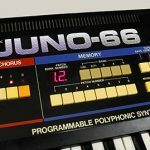 I will have a look at the midi issue you are describing, usually midi loops can be avoided by the correct setting in the DAW. The octave difference bug has been fixed in the newest version. You can update via midi. Awesome upgrade. 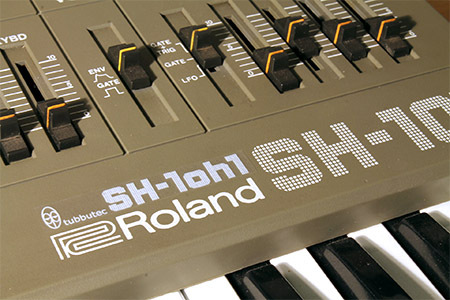 I’ve owned my SH-101 for 10+ years and the 1oh1 brings new excitement to an already great synth. Kit is well put together, though one of the connectors was wired incorrectly. No biggie, but just double-check the colors before you plug them into the CPU. Manual is correct and CPU has color coding on label. As for features, the volume and filter accents are killer for the sequencer. It now has a 303/202 feel to it. Love the sequencer playback options. Very cool that you can route the Arp/Seq and Random clock/dividers to different sources. I need to figure out how I will control the added filter LFO and ADSR; maybe try using my Beatstep Pro if possible. 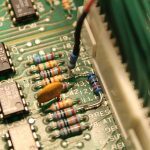 Kit certainly easy to install for a well experienced tech, but considering I am just an amateur, I found it to be intermediate, particularly for someone with little experience removing 40 pin IC chips. I accidentally lifted a solder pad off the board while removing the old CPU, but was to able fix with a jumper.